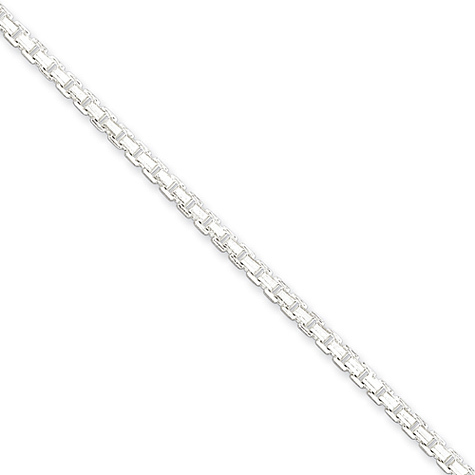 18 inch sterling silver box chain has a lobster clasp. 2.5mm wide. Weight: 15.8 grams.